I don’t know about you but my family generates an amazing amount of laundry every week. 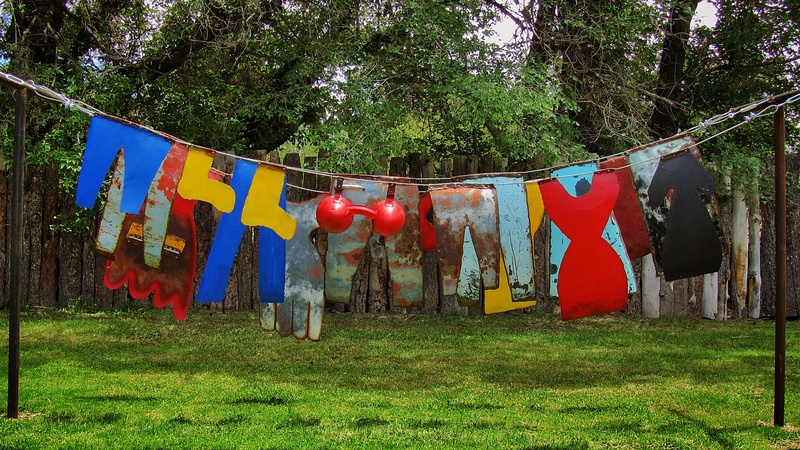 Aren’t you a little curious about the family that inspired this piece of outdoor sculpture at the Shidoni Gallery in Tesuque, NM? For me, family is whom I share my life with. Genetically, I am related to only two wonderful people, my kids. That’s all I know about. But I have a huge family and I am absolutely blessed. My parents, bless them, adopted me and didn’t teach me to be like them, they taught me to be myself. I have tried to carry on that tradition. Onward! Your parents sound like wonderful people and I agree whole heartedly, family is who we share our lives with! Thanks Ruth, it was a fun find at the gallery. Sorry Lisa. Sometimes the two screens I am working hon messes around with me..hahahah. I have my mail open on one window and wordpress in the other and a post of Janaline came through and of course I had a blonde moment. hahahahah. Thanks Sonel. 🙂 We all have our “moments” don’t worry about it! Enjoy your weekend too! Very interesting laundry. Good shot. It must make a lot of noise when the wind blows! Interesting take on the theme, Lisa. omg is this a brilliant choice for the challenge, or what!? Everyone else is posting family portraits (wonderful, of course) but this, this is creative and says it perfectly!! Great take on the challenge – and well phrased definitions! Very creative and nice interpretation!! Good reflection and good visual composition!! Thanks Sally, I’ve wanted to post this photo since June and am happy it finally has a good home! What a great sculpture!!!! And I am curious about the inspiration. This is a great fun interpretation of family. Great photo, great interpretation of the challenge. I just love washing lines! that is hilarious! so bright and cheery, too. thanks for sharing. It is amazing what these artists do with the medium. I love your take on the Family theme.